Today, Chris and I kicked off our Valentine’s Day festivities by going out for a meat-filled lunch at Fogo de Chao in Beverly Hills. Every piece of meat we ate was better than the one before. I’m nuts for lamb. So, I was particularly happy to find lamb chops amongst the selection. As good as that was, later in the evening a very ‘Chris and Sarah’ sort of celebration took place. Both of us have been intrigued by the new Cookie Dough and Marshmallow Krispy Oreo flavors. We read good reviews but couldn’t bring ourselves to buy a whole package on our own. When I saw them in the supermarket, I decided to grab one of each and save for us to try together over our Valentine’s Day weekend. It didn’t sound any worse than munching through a box of chocolates. 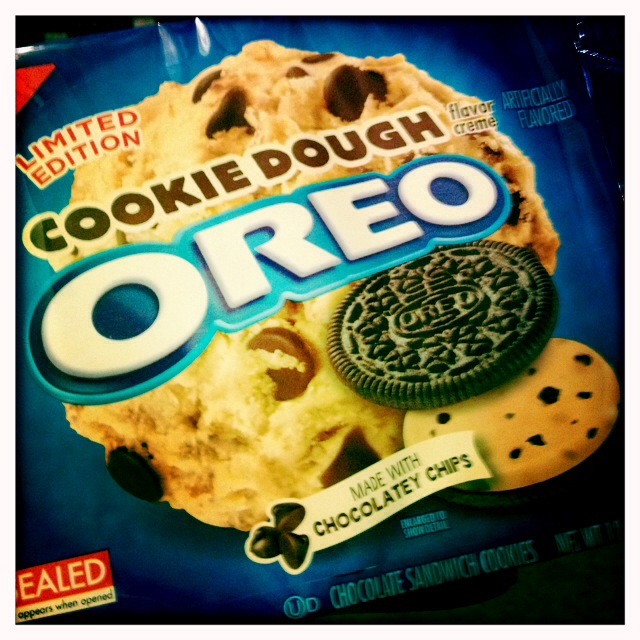 Of the two new Oreo flavors, the Cookie Dough Oreo has had the most media attention. Consequentially, our expectations were fairly high. Sadly, neither of us really enjoyed the Cookie Dough Oreos all that much. The flavor of the filling had a coffee sort of taste that didn’t remind us at all of cookie dough. If anything, it brought Tia Maria to mind. It would have been more accurate if they had been called tiramisu Oreos. I’ve never really enjoyed tiramisu. 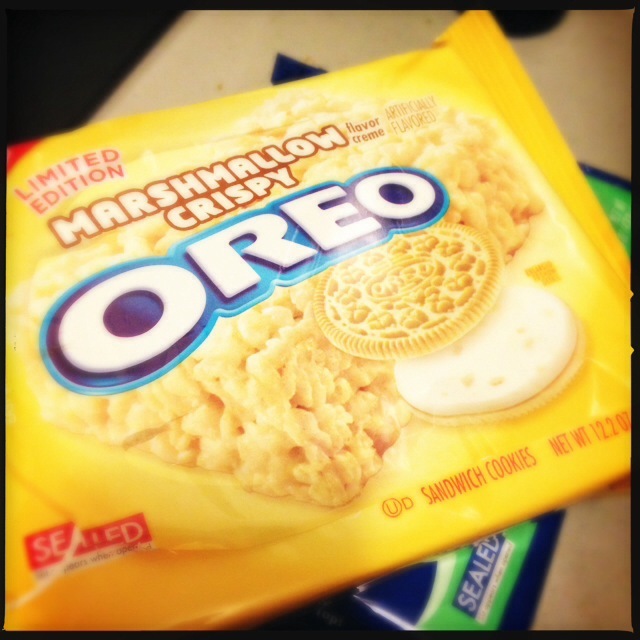 Neither of us knew what to expect from the Marshmallow Crispy Oreo flavor. We couldn’t conceptualize how the crispy part would be integrated. I was worried that the cream part would be overly sweet. I never tried the Candy Corn Oreos because my teeth hurt just thinking about them. So, with trepidation, we opened the pack and gave the Marshmallow Crispy Oreos a shot. Rather than be silly sweet, the Oreo filling has a toasted marshmallow flavor. There are just enough crispies added to the mixture to give it an interesting and pleasant crunchy texture. The sweetness that there is in the Marshmallow Crispy Oreo is brought from the golden Oreo cookie itself. 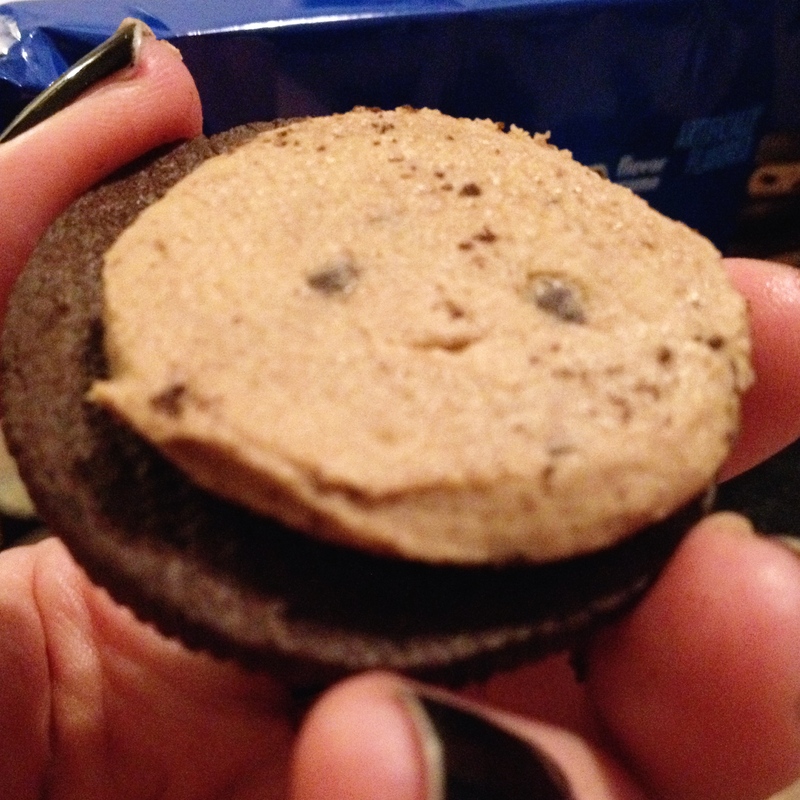 Now, we just have to forget we ever tried them or we may end up having to head to Oreo rehab. 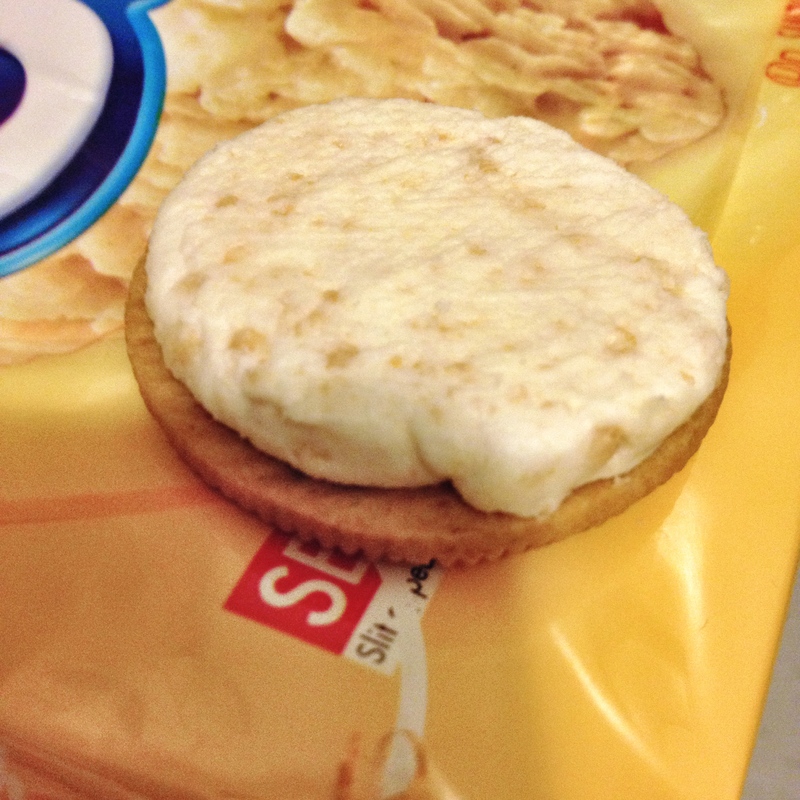 This entry was posted in Foodie and tagged Junk Food, Product Reviews. Bookmark the permalink.